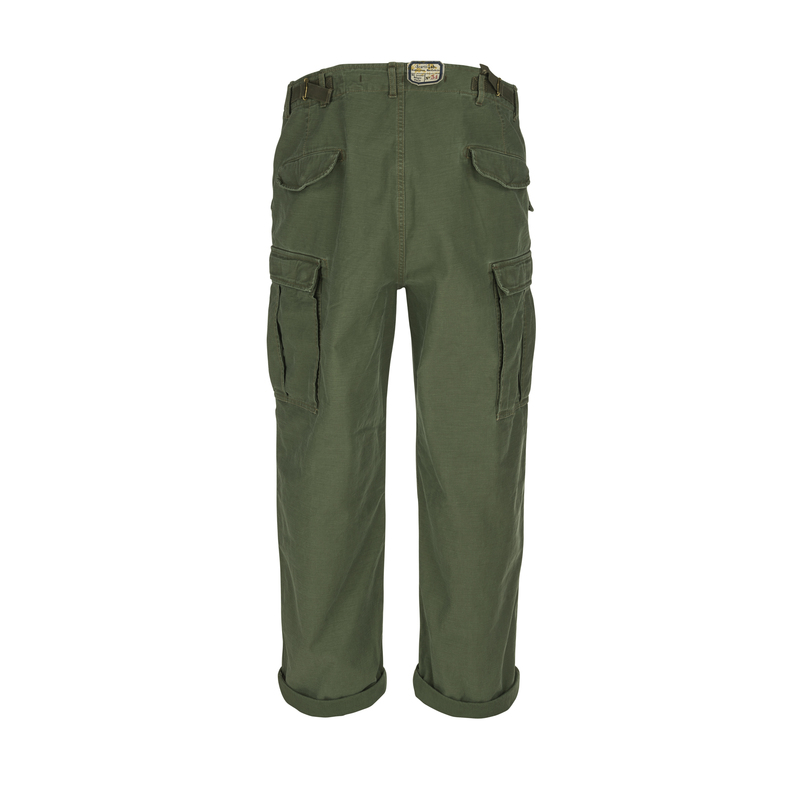 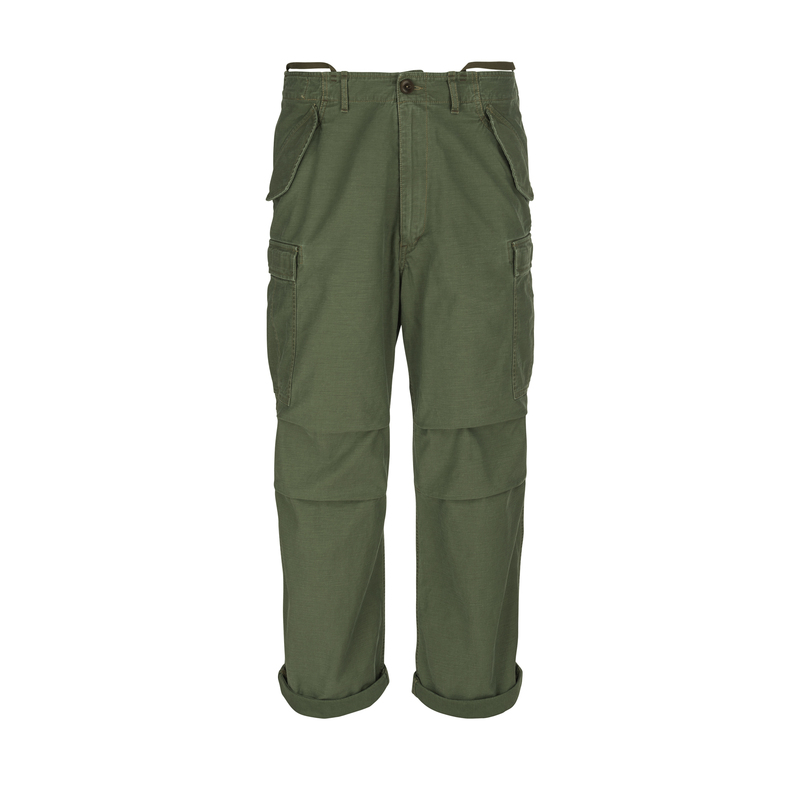 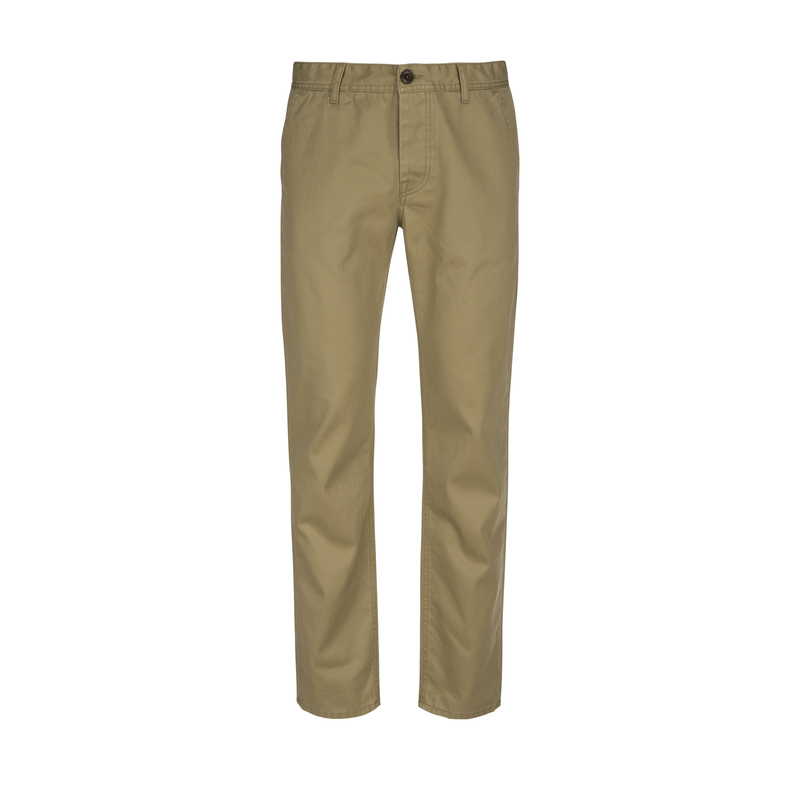 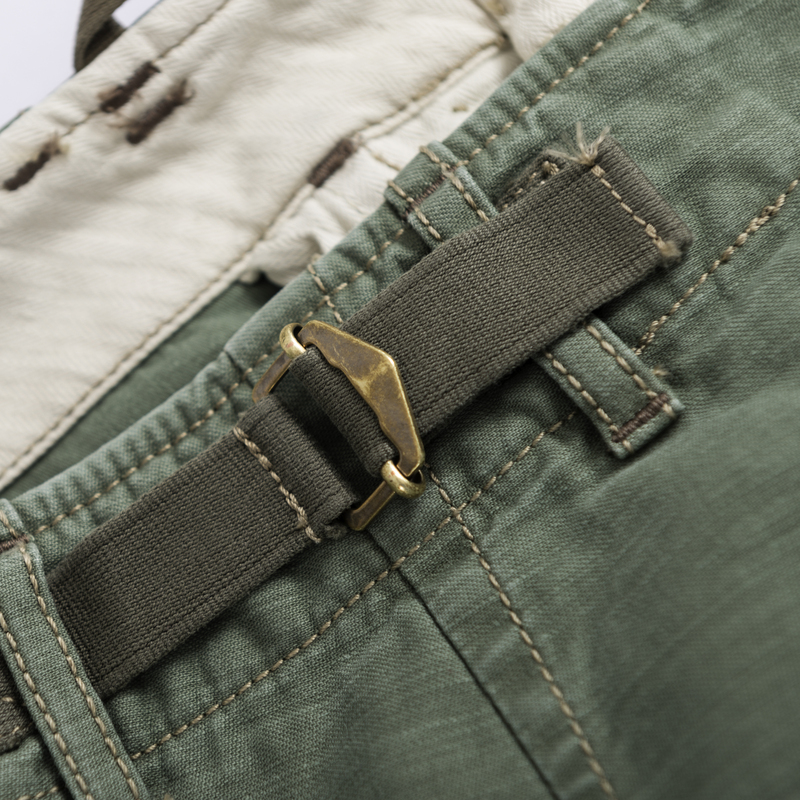 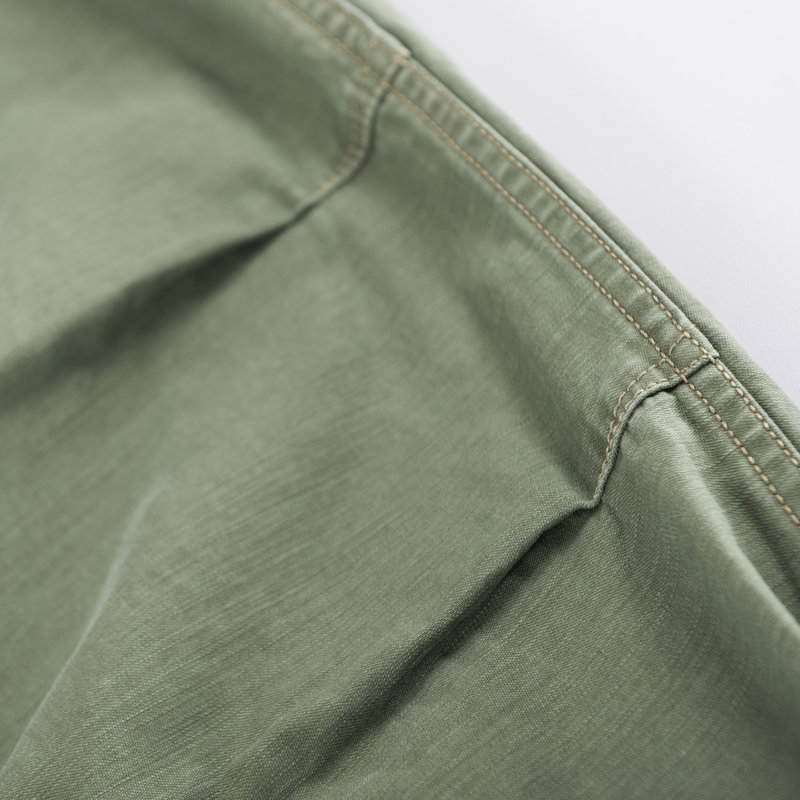 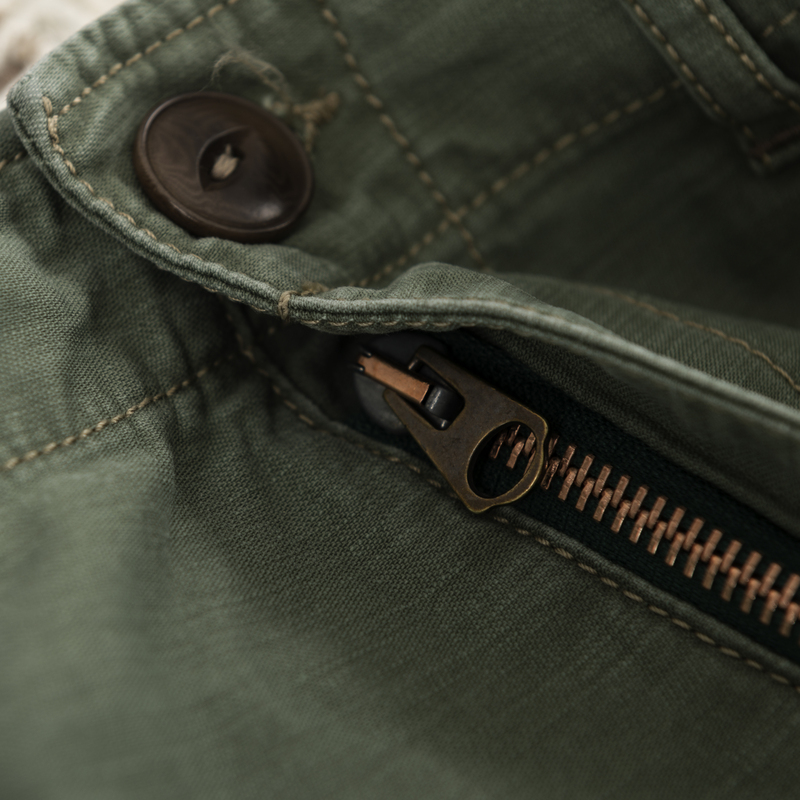 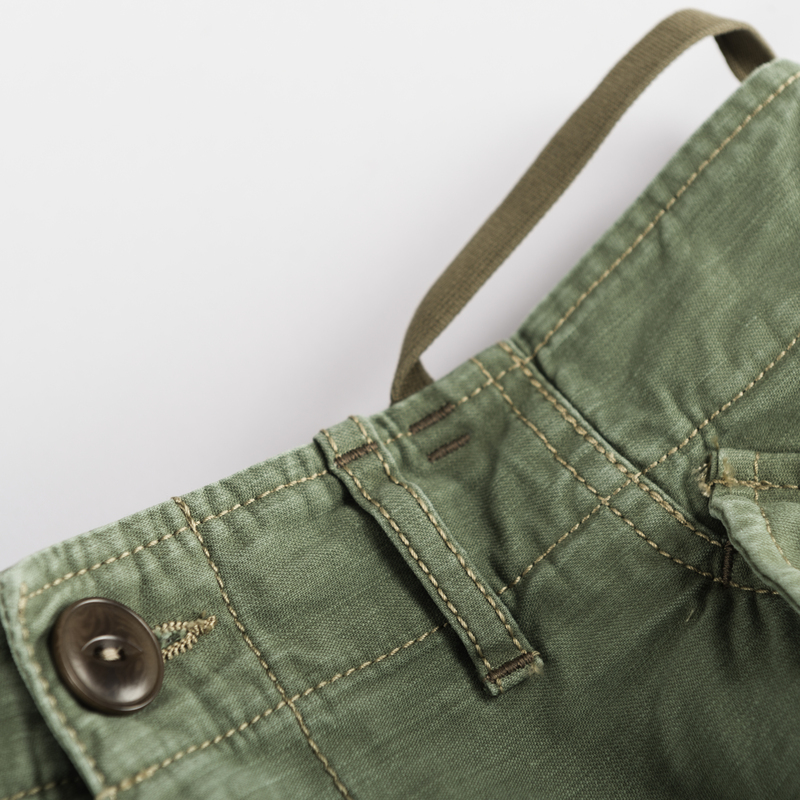 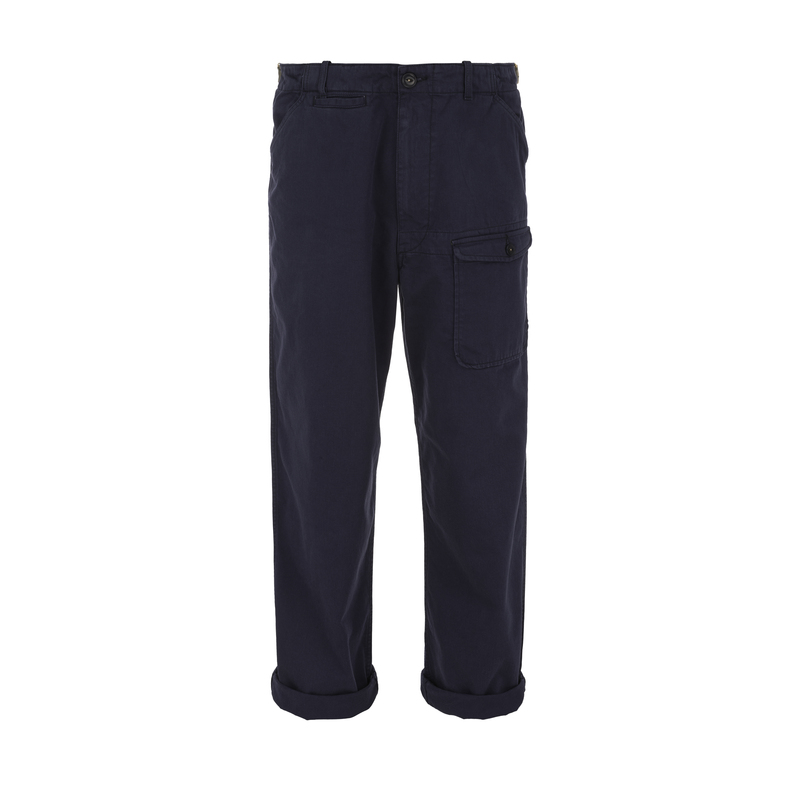 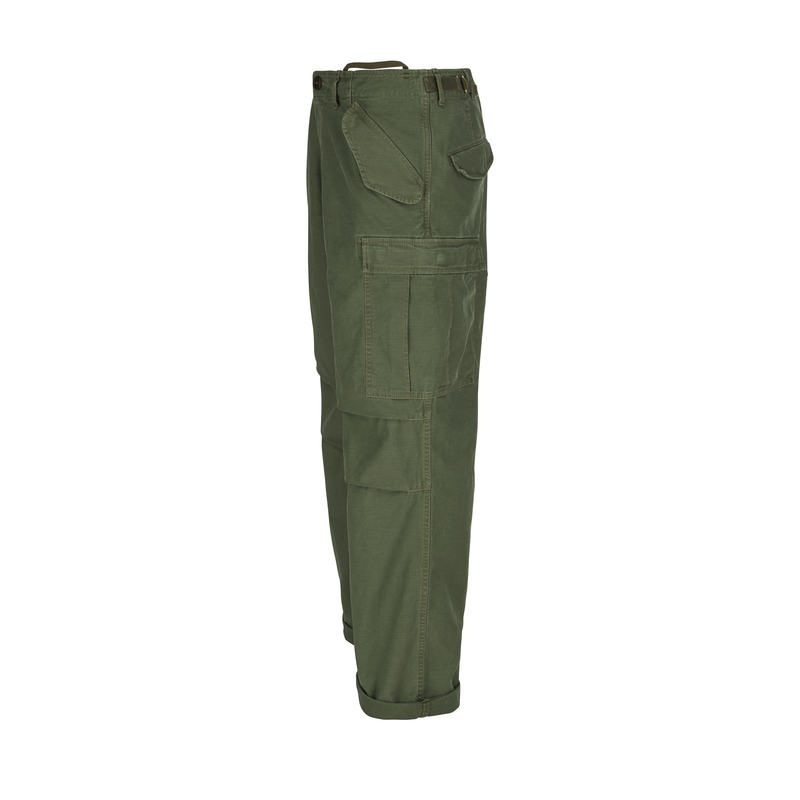 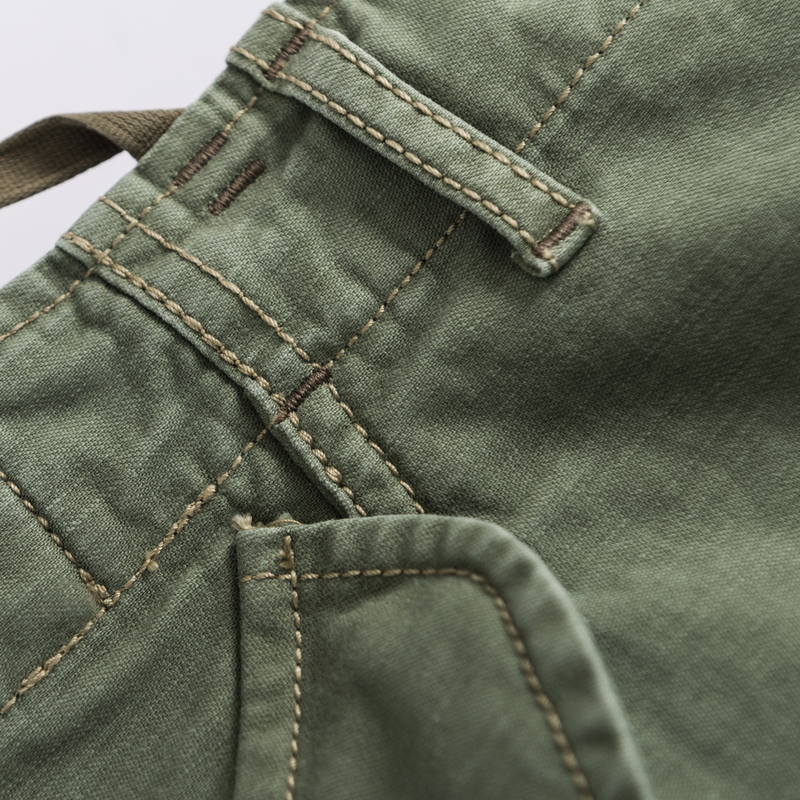 Military cargo Pant made of 100% cotton. 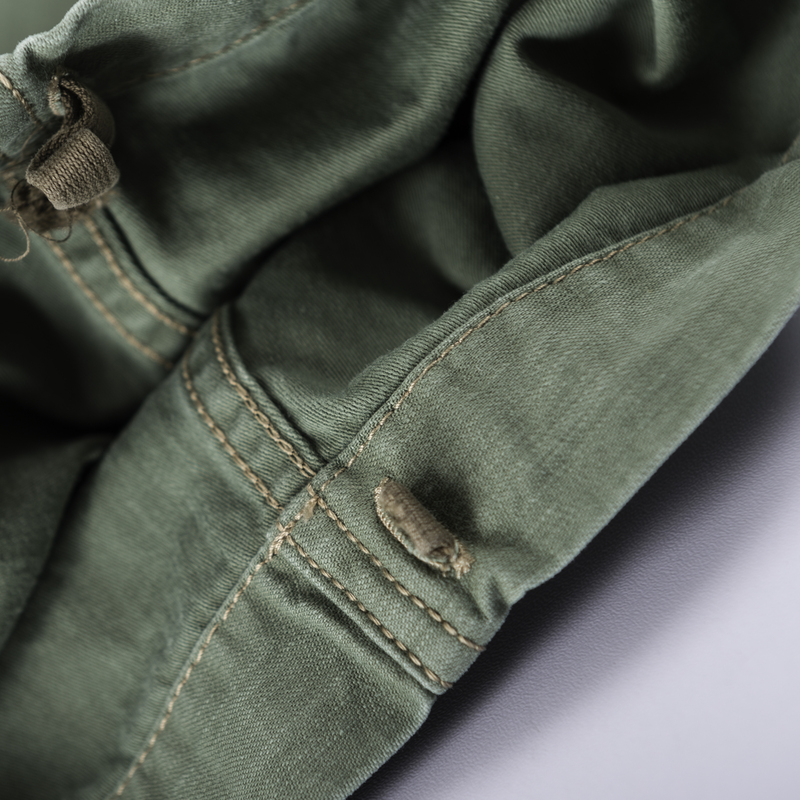 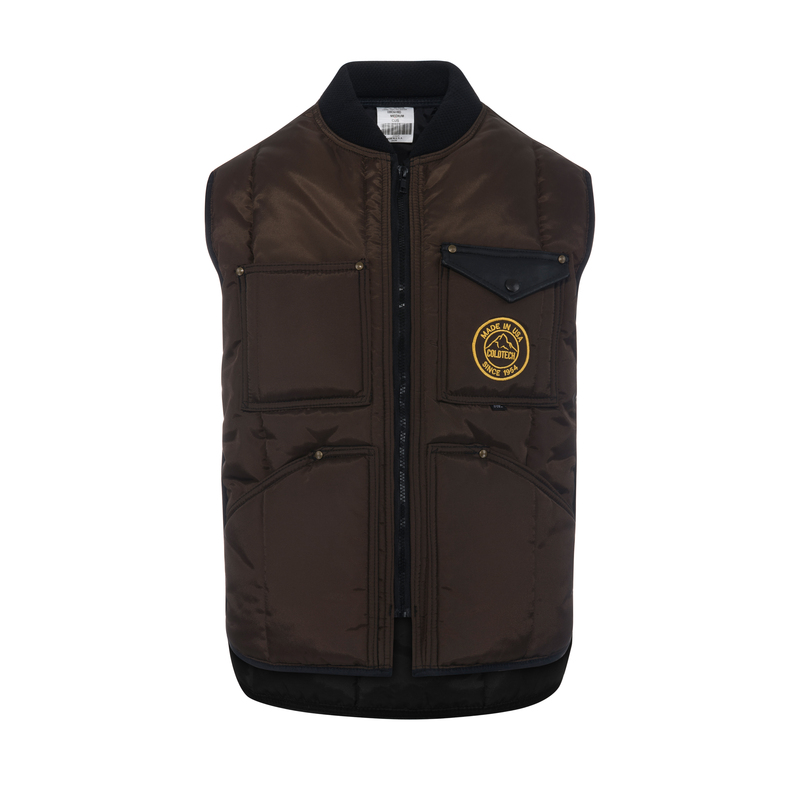 Features brass zip and corozo button on front and two front pockets, two pockets on the back and two large pockets on the side. 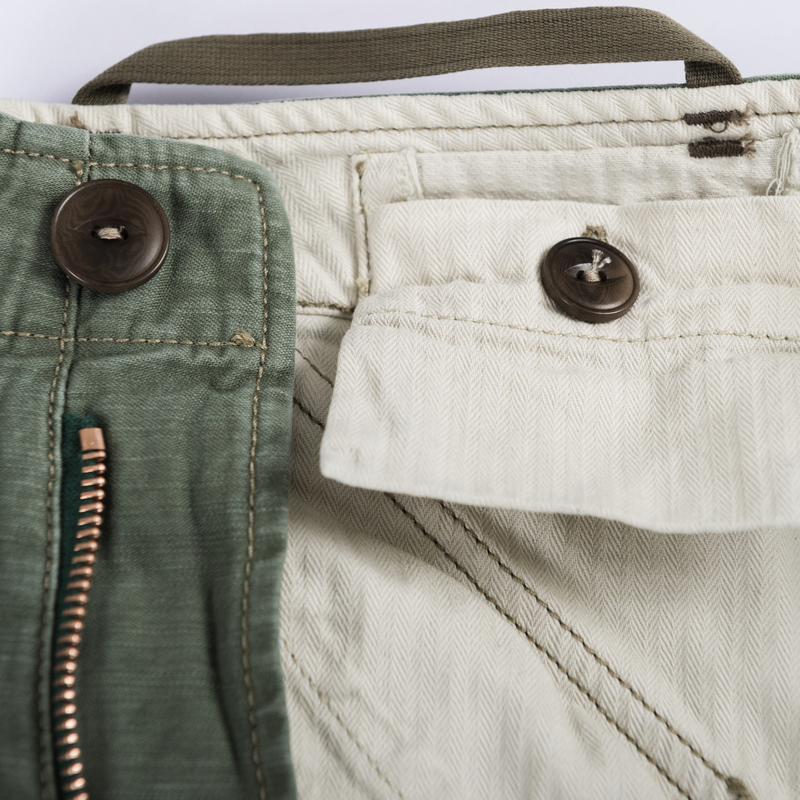 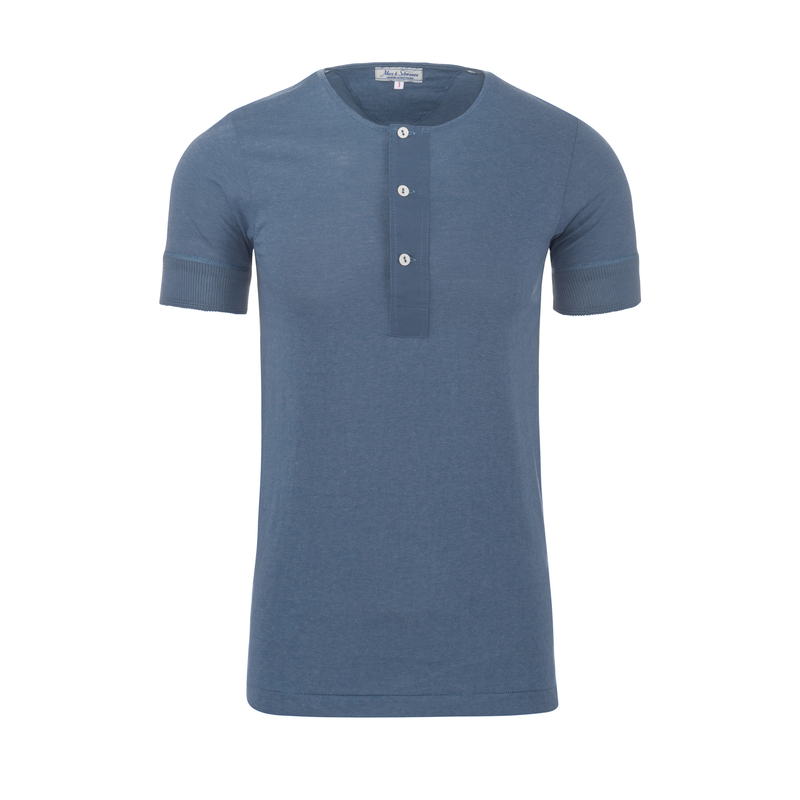 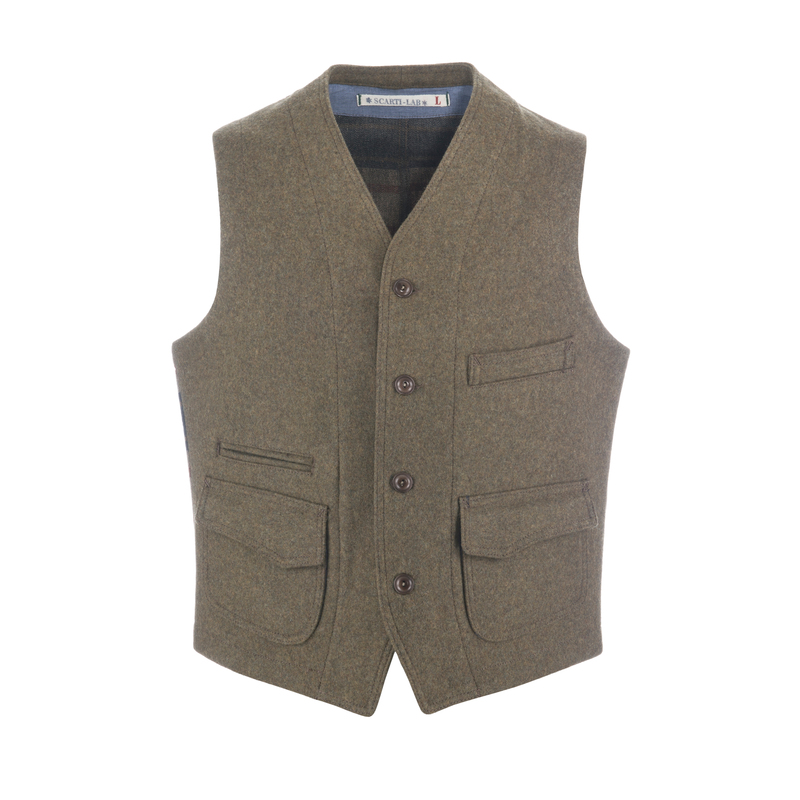 Offers a small hidden inside buttoned waist pocket.